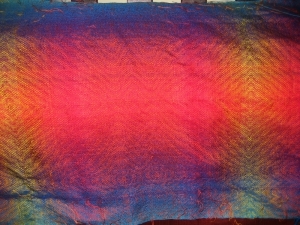 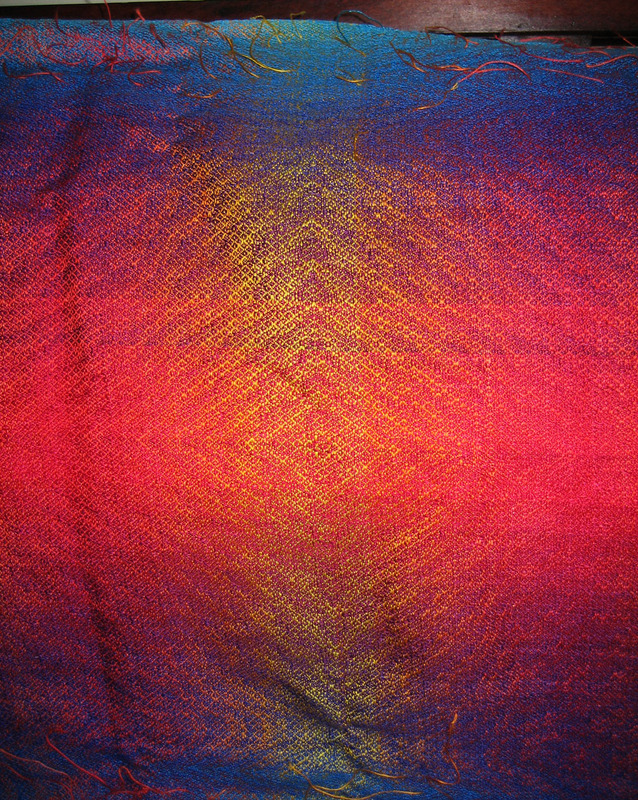 This shawl came off the same warp as three other shawls, “Ocean Sunset II”, “Black Jewel”, and “Crazy Colors”.Â (Click here to see the others. 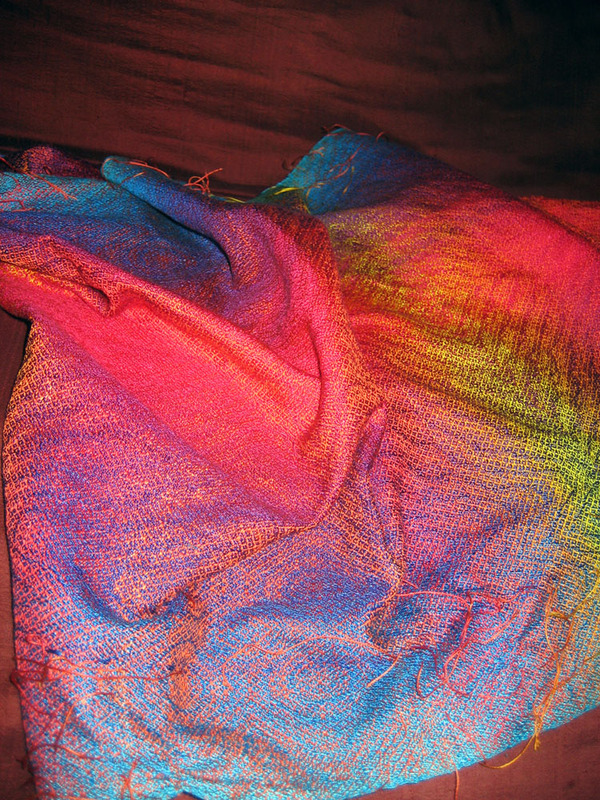 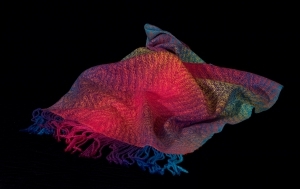 )Â The shawl is made from 2/28 nm silk hand-dyed (by me!) 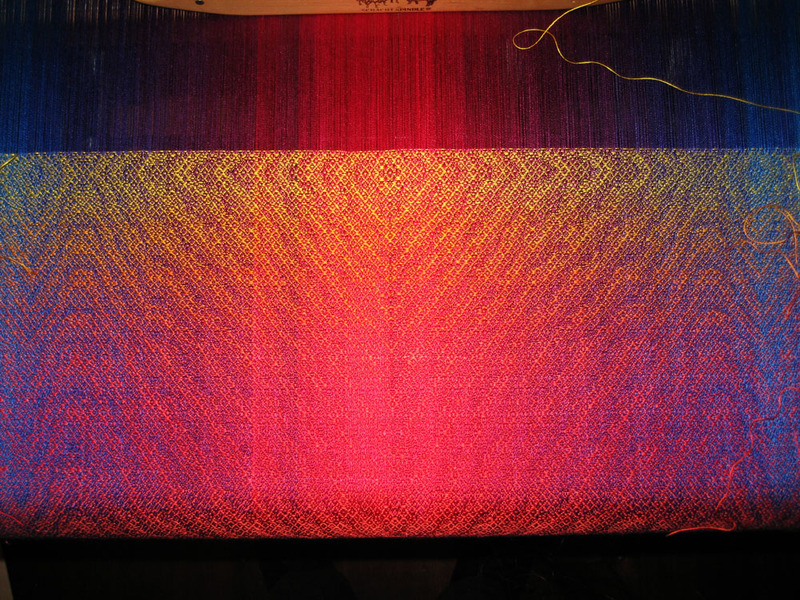 in 60 colors – 29 in the warp and 21 in the weft.Â It is woven in stripes, each stripe so similar in color to its neighbors that the transition appears seamless.Â There are 58 stripes in the warp and far more in the weft.Â Each warp stripe is only 1/2″ wide! 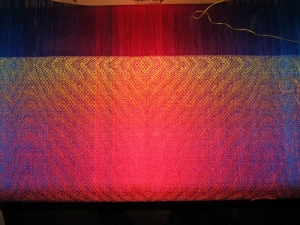 The pattern for this weft is displayed in the gallery thumbnails – it’s a network drafted pattern on 24 shafts, on a 4-shaft rosepath network.Â As you can see, it’s a complex design, but I liked it a lot.Â Woven, I think it’s maybe a little “busy” with all the color changes, but it’s still one of my favorite pieces.Â Laid straight out it looks a bit stripey, but as you can see, it looks beautiful when rumpled (as it would be if you were wearing it)!Â I’ve gotten a lot of compliments on this shawl.